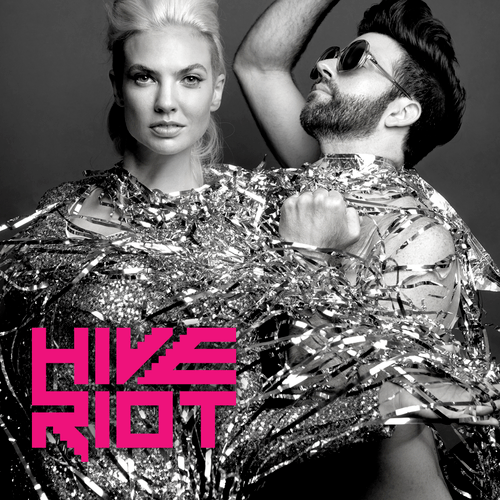 In this three-part series we interview pop artist Mindy Gledhill and classical pianist Dustin Gledhill regarding their new electronic synth-pop project called Hive Riot. In Part 1 we explore Mindy and Dustin’s respective stories as Mormons, along with their careers as successful musical performing artists. Dustin also discusses his difficulties as a gay Mormon (including his attempts to change his sexual orientation, driving him to the point of suicide), and Mindy discusses her journey to become an LGBT ally (partially through Dustin’s influence). In Part 2 we discuss the Hive Riot project (which, I might add, is the perfect Christmas Gift for this holiday season…along with Mindy’s Christmas album). In Part 3 (to be released next week), A Thoughtful Faith podcast host Gina Colvin interviews Mindy about her faith, women’s issues, and other dimensions of Mindy’s experiences as a woman, mother, wife, pop artist, Mormon, and human. Rooted in the Beehive State, but stretching to Manhattan (where Dustin lives), Hive Riot is the sound of letting go. Officially, though, it’s the sound that indie pop darling, Mindy Gledhill, and classical virtuoso, Dustin Gledhill, make when joining forces. Dustin Gledhill was a prodigy piano virtuoso, performing Gershwin and Rachmaninov with symphonies by the age of seven. He’s endlessly musically pedigreed (Juilliard, Royal Academy of Music, Manhattan School of Music) and has been an innovative collaborator with dance productions from London to New York to New Orleans. Mindy Gledhill, a tireless and relentlessly seeking artist herself, has taken her artistry around the world—singing on two Kaskade albums, a #1 single in Korea, placing songs on major TV networks and in national ad campaigns, a mini-series with Scripps Network about renovating and touring in her vintage tour bus and most recently renovating a 100 year old blacksmith shop into a recording studio. The two of them together are an electric alchemy and, yes, the sound of letting go. And, in that letting go, you hear the sound of celebration, of liberation. The songs are a synthy, dance-fueled party, hosted by Cyndi Lauper and CHVRCHES. And every great party has its afterparty and there are downtempo, after hours songs here too. We all have something to let go, something to celebrate, something to move on from, something to move on towards. And Hive Riot is the soundtrack. Finally, Dustin’s article from the January 1988 Children’s Friend can be found here. Hive Riot’s first video — Sherlock — Available below! First hour was amazing!!! Thank you!! Two new heroes in my life!!! I remember hearing you sing at a football game in high school Mindy. Even back then I thought “wow that girl is talented”. I’m so happy for your success and I can’t wait to hear the podcast next week. Thank you! Authenticity is so important. What a beautiful story of a coming out and an ally to support you. The album is amazing. And, somebody get John a copy of he Sunday’s Reading, Writing & Arithmetic, stat! Quels beaux gens et belle musique! Thanks DSinger. It was a fun / intense / healthy discussion. So glad you enjoyed it. Yay! Share away!! So glad you like Undercover. Would love to come to Austin!! Mindy & Dustin- I love you even more now after listening to you for two hours. You guys are so full of love and empathy and understanding. Listen to the podcast and really started to listen when you said you lived in Eureka. So did I from 1989 to 1993. Your dad played a huge role in my life while there. My husband left me with two little boys and your Dad was a great help to me. Actually a blessing he gave me made me leave the U.S. And moved back to Denmark to be near my family. 4 weeks after I moved my x husband died in a tragic accident. It was clearly inspiration at the time. Anyway today I have quite a few issues with the Church and the way woman are treated. Anyway that’s for another day. Would you please say hi to your dad from Susanne Perkins. And….. At da….I kept listening. And low and behold I kept on listening and it turns out I also served in the Montreal mission. Now I can’t wait to hear you guy’s music. I’m sure I will envy your talent. I run a music school here in Copenhagen and that is HARD work. All the best to both of you. Great interview. Love the music. I am the fish out of water. Music and lyrics were great. I am a 49yo new waver from the 80s. Out of your target demographic, but still love it. Come to Seattle on your tour! I am so touched by this story. I have been a big Mindy Gledhill the musician fan since day one of joining the Mormon church. I have been at a loss with the recent announcement and I have yet to find someone to relate with quite as much as Mindy’s story in this podcast. It has been soothing to my soul. Thank you so much for sharing. Wish you both all the best! Terrific interview, wonderful story, and phenomenal music. Bought all available singles and have been listening to them on repeat ever since. When Mindy said her favorite band was “The Sundays”, all my chips were in–the greatest music in the world and my first music love in high school. Was really touched by both of their personal stories, and how they’ve turned that into very empowering and inspiring music. I can’t speak for the rest of your listeners, but as for me I have been a fan of electronic and dance music for more than 20 years. I am 36 years old. I very much enjoyed both interviews. The music we get to hear in the second half totally reminded me of Bjork and Hooverphonic. It was very ethereal. I think that Mindy is a great role model to a mom like me who has very much given up my dreams in pursuit of motherhood. I will have to rethink how I can pursue my dreams at the same time. I enjoyed the interview and could relate to some of the feelings expressed. Also loved the music, it reminds me a little bit of the artist “Lights.” Mindy’s voice is better though! Mindy mentioned that through her honesty she may have lost followers or fans, but for every one she may have lost I believe she has (or will) gain ten more. Including me. I’m just showing up to the Mindy Gledhill party and I feel like I’ve been missing out! Better late than never. What a beautiful soul. Can’t wait to see what’s next with Hive Riot! Great interview. Thanks Mindy, Dustin and John. I’m totally joining the Dustin Gledhill party too! (That goes without saying, but I still needed to say it). Thank you again, both of you, for your openness and honesty.